The service runs on a LINUX based server placed in a safe environment. The application server is connected with the ISDN telecommunication network and has an additional GSM device for the SMS service. For the participation in this service only low technical requirements have to be fulfilled: just a functional telephone number. Furthermore, the provision of specific contact information about a team is required. 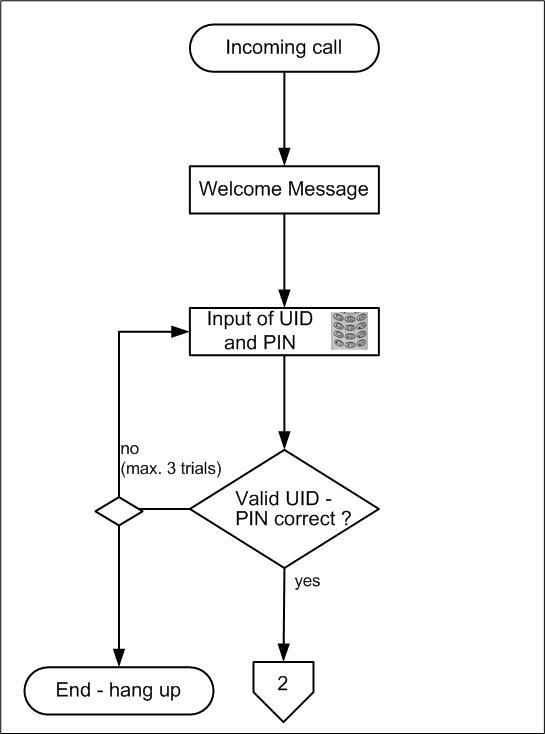 You are welcomed by the system directly after the connection is established and prompted to enter your UID and PIN. The UID and PIN (nine-digit number combination) must be entered sequently without a break. Identification and authorization aren't split. You have three attempts to enter a valid number combination, after this the system will abort the session. Please note, for all calls the date, the time, the duration of the connection and the phone numbers (source, if available and target) will be logged. New messages are held up 72 hours for hearing, after this they will be archived. This time period is neccessary to span the weekend. 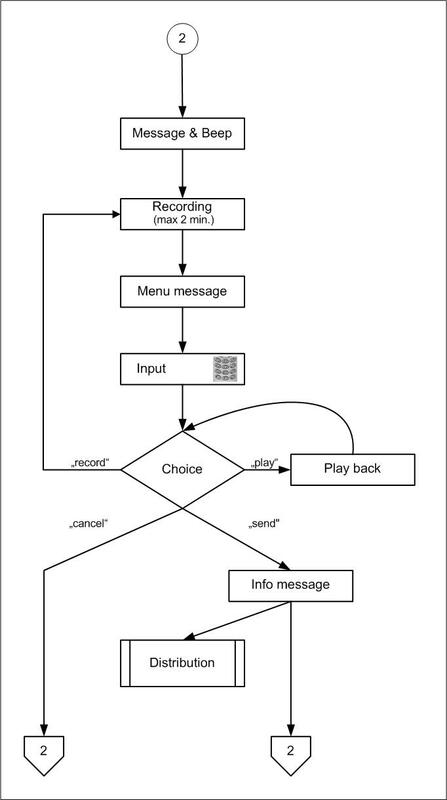 The main menu is very simple: the caller can select, whether he would like to record or play back messages. Of course you can close the session at any time. Just hang up or press the end button of your celluar phone. Please, waste no time for the production of a perfect message, a fast dispatch is more important. It could be helpful to read the message simply which has been produced for e-mail dispatch. Afterwards the message will be delivered to all participating teams. 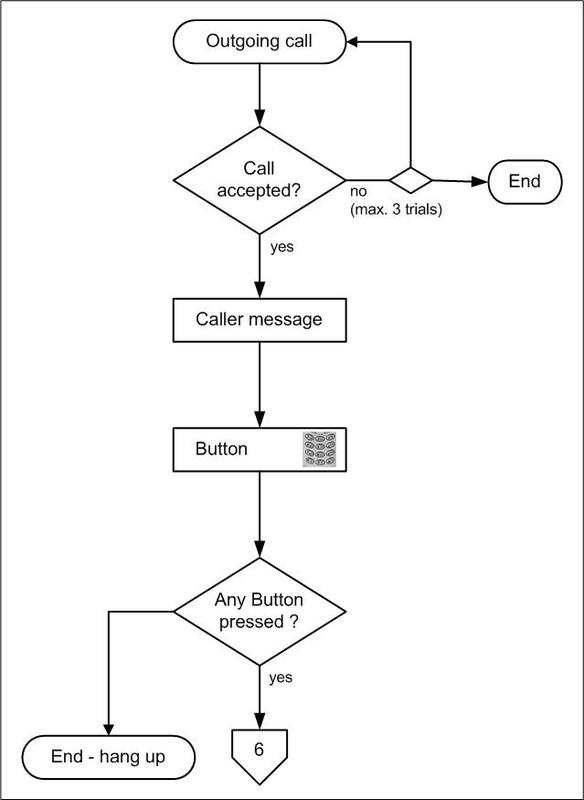 If an incoming call isn't accepted or the telephone is occupied, another team will be called immediately. If the end of the call list is reached, all teams will be called again which haven't been reached before. A team is called at most three times, the time between the calls amounts at least 5 minutes. It is meaningful to make calls also outside the office hours. 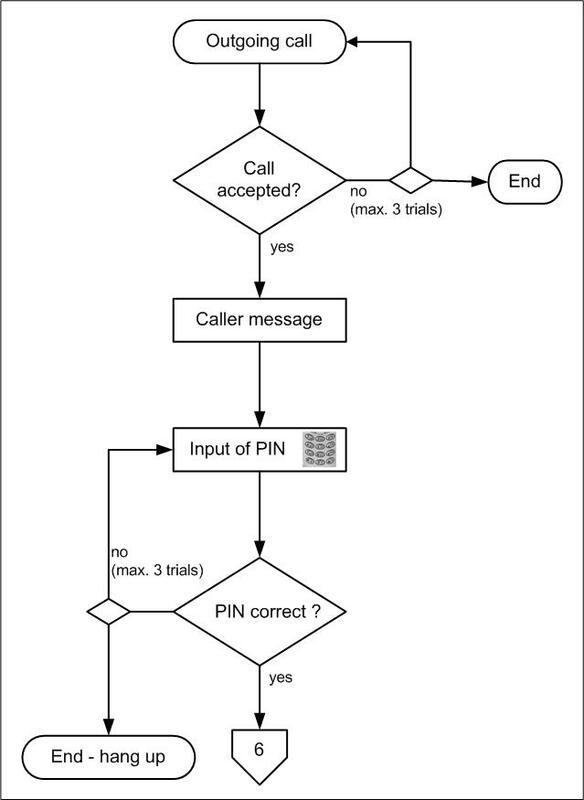 In this case the caller list can be evaluated later (if possible). Each team which has registered a mobile phone gets in addition to the voice-mail a SMS with the following text: "eCSIRT.net alert function - a new voice-mail was received.". At acknowledgement and authorisationa pin must be entered first before the message(s) will be played. 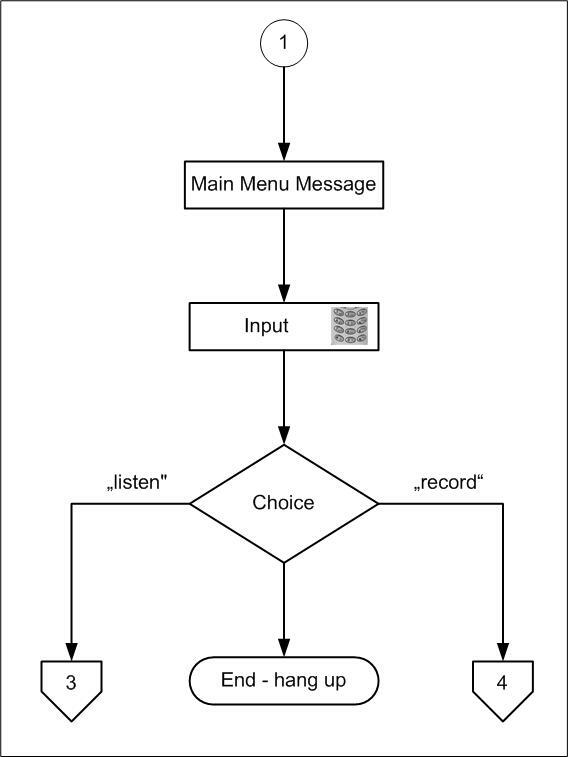 The rules correspond to these, as in the case of recording messages. However, you have to enter only four digits. Through this the possibility to establish different user groups is given. 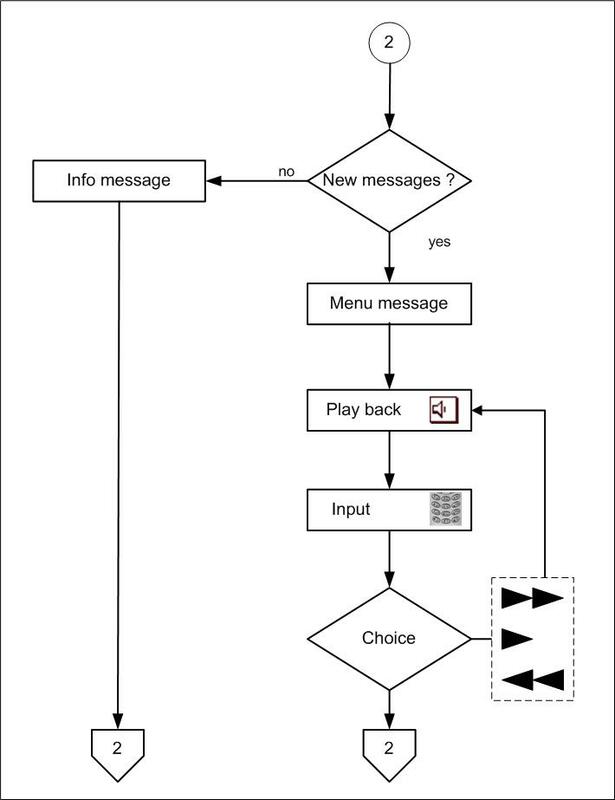 WP5 Alert Function - Internet based communication. Automatic FAX distribution to allow transfer of larger documents in times the Internet is not available.